The city of Hue officially began a series of cultural events (May 16 – 22) in honor of the millennium anniversary of Hanoi becoming the State capital. Organizers hope the event will help revitalize the historic city of Hue, formerly the imperial capital of Vietnam. The Executive Board of the Buddhist Sangha in the province of Thua Thien – Hue exhibited 100 Thang Long artifacts. Some of the relics predate the establishment of Thang Long, 1,000 years ago (the Dai La Era). Collected exclusively by amateur historian Tran Dinh Son of Ho Chi Minh City, other items on display come from the Ly, Tran and Le Trung Hung dynasties. Scholars Cao Huy Thuan, Tran Dinh Son, Professor Thai Kim Lan, researcher Ho Tan Phan are all scheduled to give lectures on topics including Buddhist imprints on the Royal Thang Long Citadel, Thang Long Stamps in the Huong River, and the autonomy of Vietnamese Buddhism. As part of the Hue Festival, two Japanese films were shown: Kwaidan, directed by Masaki Kobayyashi and Yojiro Tokita’s Okiribito ( English name: Departures), which won the coveted Oscar for Best Foreign Film, the Grand Prize at the Montreal Film Festival, in addition to the over 30 other awards. 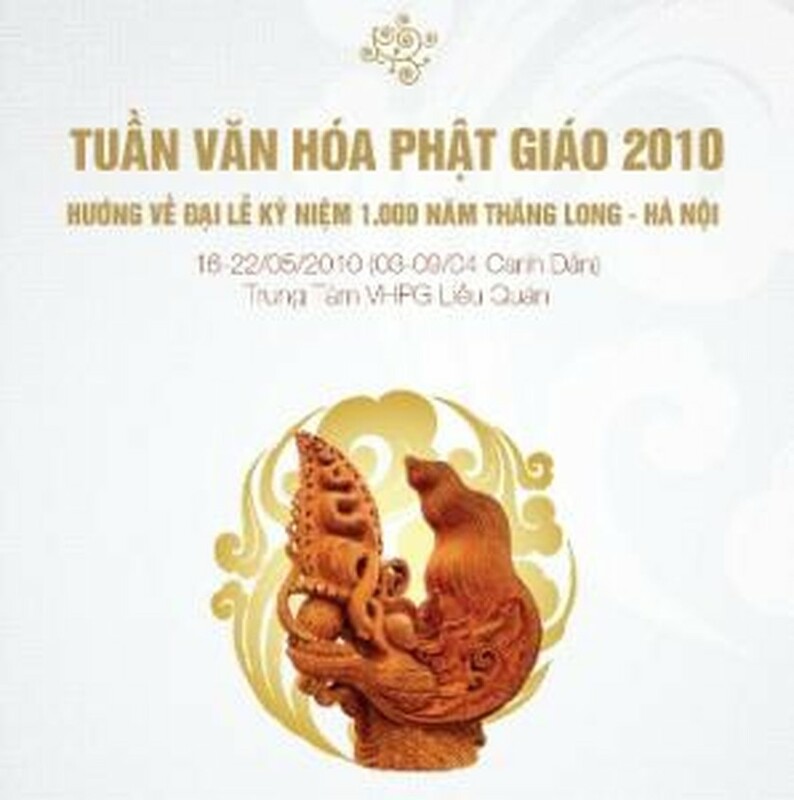 In addition, vegetarians can enjoy traditional cuisine along the pedestrian thoroughfare Nguyen Dinh Chieu and lovers of Buddhist poetry can listen to recitations of famous works by Doi trong bong Phat – Phat trong coi doi ( Life in shadow of Buddha- Buddha in real life) on May 20.